Develop sound theoretical and practical abilities in software design, development and experimentation, to become an innovative computing professional. This course will give you the skills and knowledge necessary to apply valid computer science methods to new and emerging computing problems. These abilities are highly valued by employers. You’ll gain a solid foundation in computer science with rigorous theory and practical experience. In the first year, you’ll learn the basics of computer science, including mathematics and programming skills, followed by more advanced and specialised units in the second and final years. In the second year, you will complete a group project with other students to design and build an interactive application. In the final year, you will choose optional units alongside an individual project that combines your interests in a specific area of computer science. You’ll regularly meet with an academic who specialises in your chosen field. If you want a more in-depth study experience, you could consider applying for our MComp Computer Science course. As a student here, you'll also have lots of opportunities to get involved in societies and events such as hackathons, coding competitions and conferences. You’ll have access to purpose-built teaching labs, including a dedicated prototyping lab, allowing you to create and experiment with software-driven systems and devices. Complex, data-intensive processes can be analysed over high-speed networks with our High-Performance Computing facility ‘Balena’. Our specialist labs can be accessed 24/7. 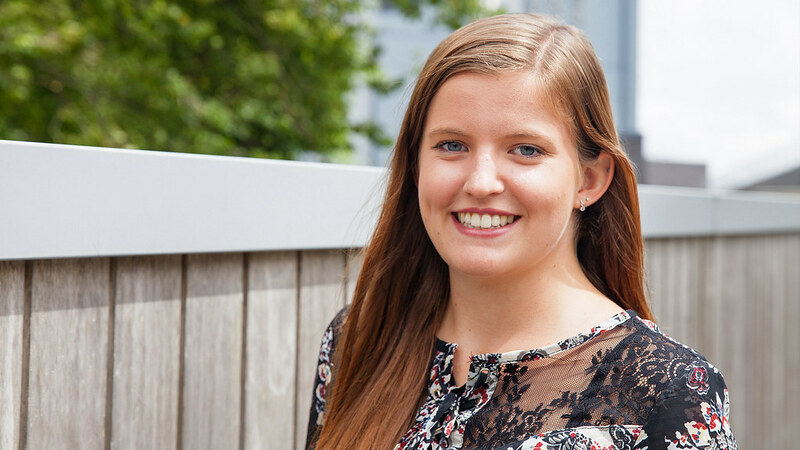 Recent graduates have gone on to a wide variety of careers including as Product Manager at Atos, Cyber Security Analyst at Selex ES, Software Tester at Fujitsu and Software Developer at Imagination Technologies. You’ll also be well suited to roles in business, education and administration. Many of our graduates also choose to go on to postgraduate study in preparation for academic or industry-based research careers. These are examples of optional units currently being studied by our students, or are proposed new units. 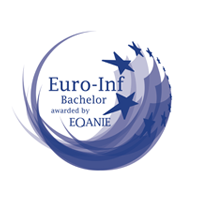 This course offers the Euro-Inf Bachelor Quality Label, licensed by EQANIE. Your application, especially your personal statement, should demonstrate your enthusiasm for studying your chosen degree. This might include relevant reading, voluntary or work experience, hobbies or other relevant extra-curricular and co-curricular activities. You will need a strong performance in Mathematics as part of your entry qualifications. 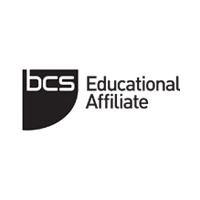 We prefer applicants who can demonstrate evidence of logical and analytical thinking such as through the study of decision Mathematics, Computing or science subjects. We prefer applicants who have previously studied Computing, however, you do not need to have done so to be suitable for this course. A*AA in three A levels including Mathematics. 36 points overall and 7, 6, 6 in three Higher Level subjects including Mathematics. We strongly prefer you to have studied Mathematics at Higher Level, however, we may be able to consider you if you are studying Mathematics at Standard Level. In this instance our typical offer would be 36 points overall and 7, 6, 5 in three Higher Level subjects plus 7 in Standard Level Mathematics. DDD in the BTEC Level 3 National Extended Diploma (RQF) plus grade A in A level Mathematics. We prefer the above qualifications in Computing but we are also able to consider those in IT, alongside an A level in Mathematics. We prefer you to have studied some of the following units: Data Modelling, Software Testing, Object-oriented programming, Systems Analysis and Design. Your offer will be based on the type and level of qualifications that you are taking. We may be able to consider students without an A level in Mathematics: you must have achieved a grade A in GCSE Mathematics, have a strong academic record, and provide evidence of ongoing engagement with mathematics as a part of your post-16 academic profile. D*DD in the BTEC Level 3 Extended Diploma (QCF) plus grade A in A level Mathematics. In exceptional circumstances we may be able to consider students without an A level in Mathematics: you must have achieved a grade A in GCSE Mathematics, have a strong academic record, and provide evidence of ongoing engagement with mathematics as a part of your post-16 academic profile. D2, D3, D3 in three principal subjects including Mathematics. AA in two Advanced Highers including Mathematics. A pass in the Access to HE Diploma, with at least 39 credits achieved at Distinction and 3 credits achieved at Merit or above. This must include 12 credits from Mathematics units achieved at Distinction. Our Computer Science courses are academically challenging and require solid foundations of knowledge in Mathematics. We are able to consider Access to HE Diplomas in Science, Engineering or Computing, and we are looking for you to be studying a suitable level of Mathematics to be able to succeed on our course. You will need to have studied Mathematics units worth at least 12 credits. Pass units worth 120 credits, including a minimum of a Pass 2 with 80% in a relevant Level 2 Mathematics unit worth at least 30 credits. You are typically expected to study at least at least 120 credits, including at least 30 credits at Level 2 in Mathematics. We would ideally be looking for you to be taking units including MST124: Essential Mathematics 1 and MST224: Mathematical Methods. This information is a guide and we consider students applying with Open University Credits on a case-by-case basis. We will consider your application carefully and take note of any previous qualifications or relevant work experience. We may be able to consider alternative units to those listed. Please contact us to discuss your profile. GCSE English grade C or 4 (or equivalent from English language category B). H1, H1, H1, H2, H2, H3 in 6 Irish Leaving Certificates with H1 in Mathematics. 5*, 5, 5 in three elective subjects plus 5* in core Mathematics and 5 in either Mathematics extended paper. We accept either extended Mathematics paper for this course, however, you may find Algebra and Calculus (M2) provides better preparation for starting this degree. 16 overall with 15 in Mathematics. 15 overall with 15 in Mathematics. 85% overall with 8.5 in Mathematics (5 periods). Average of 85% across 4 subjects with 85% in Mathematics. A score of 9 overall with 9 in Mathematics. 1.3 overall with 13 in Mathematics in your final examinations. AAA in 3 H2 level subjects including A in Mathematics . 3.5 overall with a minimum B+ in all Mathematics modules. CGPA of 85% with 85% in Calculus or Mathematics from the final year. 19 in the Apolytirion plus A*A in two A levels including Mathematics . 5, 5, 5 in 3 APs including Calculus BC. We will usually assess you based on your UCAS application. If you are studying certain qualifications, such as a Level 3 BTEC Extended Diploma, and you are not also studying A level Mathematics, you may be invited to attend an interview as part of our selection process so we can better assess your studies and experiences. If you are studying a Level 3 BTEC Extended Diploma, please make sure that your UCAS application is submitted by 15 January: if you apply after this deadline, then it may be too late for us to include you in our interview process.